The Russians have given a lot to the world and have always been leaders in gymnastics and powerlifting. Kettlebells are a great tool for developing overall, functional strength and cardiovascular endurance. Try doing four sets of lap pulldowns versus kettlebell swings and you’ll notice a big difference. There are plenty of benefits to using kettlebells, so begin incorporating them into your weekly workout routine. The best thing about kettlebells is that you can get a complete full body workout combining resistance training with cardio. With a Kettlebell Set that can be stored in the corner of a room, you can do a variety of exercises, and work your entire body. But be sure to get the right form for some of the harder exercises. Functional training is the best route to overall fitness. Depending on your goals, using kettlebells can be one of the best and fastest ways to achieve optimum fitness and physique. Kettlebells activate the use of stabilisers, enhancing mobility and the exercises increase coordination and motor skills. 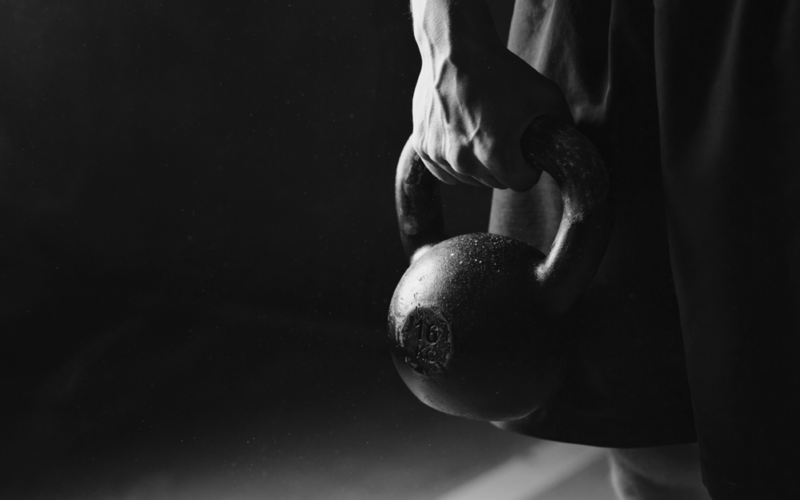 It’s possible to lift weights in a traditional resistance program and not break a sweat, but after a kettlebell workout your entire body will know it has been pushed. Given that you’ve warmed up properly, using Kettlebells can be easier on your joints given the flow of the exercises. Rather than lifting, pulling or pressing dead weights repetitively, kettlebells incorporate a range of continuous motion that is more natural for the body. Most Kettlebell workouts also incorporate full body exercises, so you’re getting a great workout while not necessarily only targeting one specific muscle group. Your core muscles, and legs will be activated for much of what you do as well. If you’re time poor, which most city-livers are these days, then a 20-30 minute kettlebell workout can give you the same caloric burn as an hour or more of jogging. Combining your resistance training with your cardio, you can kill two birds with one stone and get in and out of the gym (or your home or office) faster and back to work, knowing that you’ve had a good workout. We should all be stretching and doing yoga regularly to stay and increase our flexibility. Training with kettlebells can also aid in developing your flexibility and your range of motion. But be sure to warm up properly, don’t jump into these exercises that push your range of motion with cold muscles. As you develop your range of motion, coordination and motor skills, you are also developing a better sense of the body you live in. Exercising can be mindless – just look at all those people on the treadmill – but when using Kettlebells you need to be focused and in tune with what you are doing. This improved awareness will carry over into other aspects of your life and/or sport. Just as yoga and pilates improves your mind and body connection, so too can Kettlebell exercises and functional training. Get someone to show you how to use them to begin with, the last thing you want is a stupid injury from not knowing what you’re doing that sets you back. Do a couple of group training sessions or book in with a personal trainer for a few sessions to get your technique and movement down and to learn some basic exercises. Most gyms offer some free PT sessions with membership so make the most of them and learn how to use kettlebells. The rest you can do from the privacy of your own home, office or in the gym.